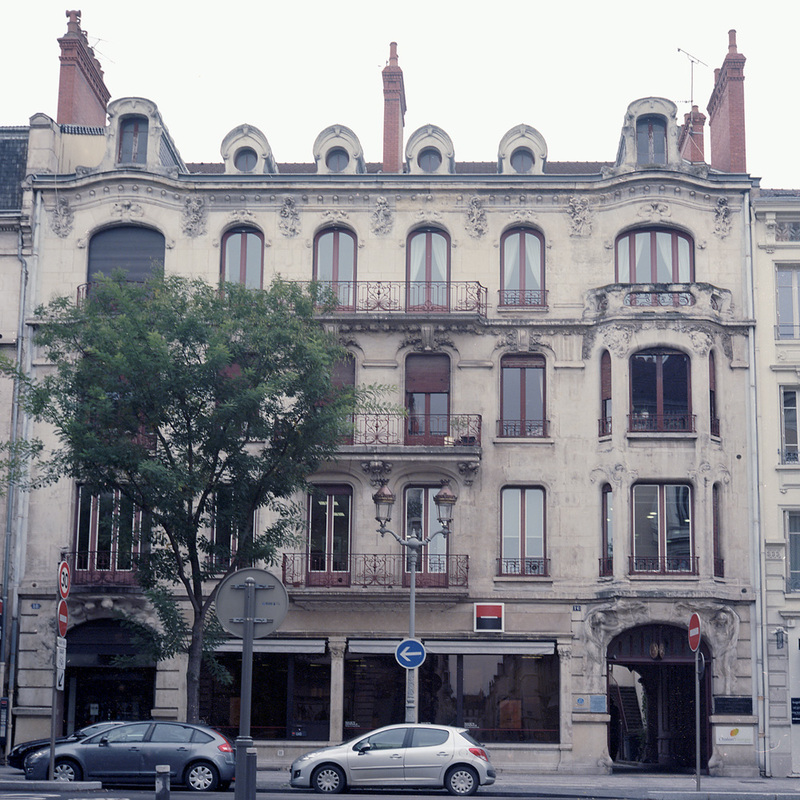 On the Boulevard de la Republique there is this fascinating Art Nouveau building that stands out amidst its neighbors. Having spent 10 days in Barcelona, perhaps the global epicenter of Art Nouveau, it’s hard not to be sensitive to it. 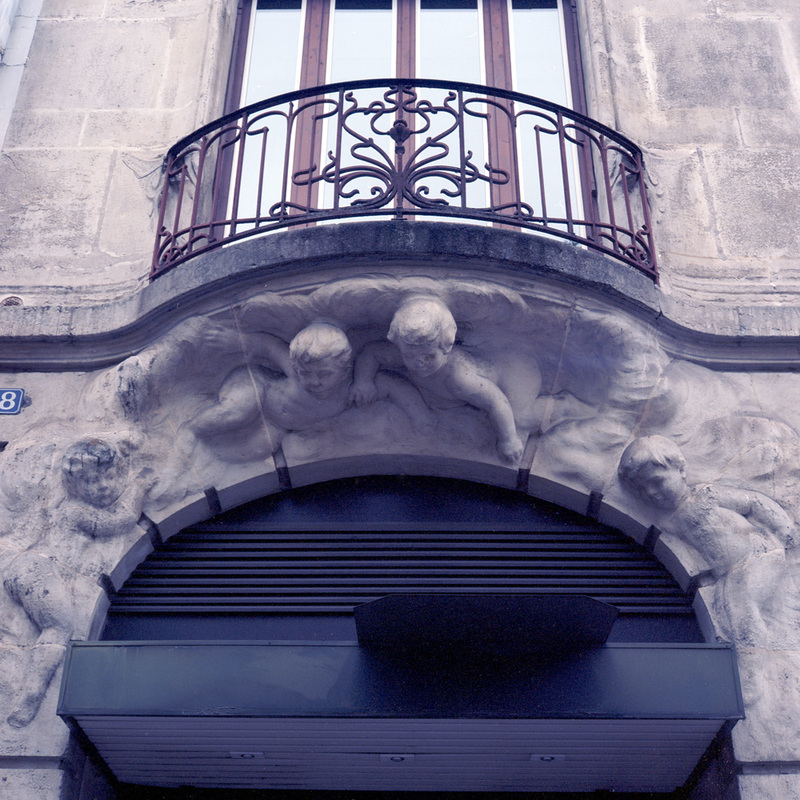 A Gaudi building this isn’t, but the sculptures over the doors that support the first floor balconies are particularly notable – they look like they’re organically emerging from the stone, or perhaps swirling in and out of a magical smoke from some genie’s lamp. 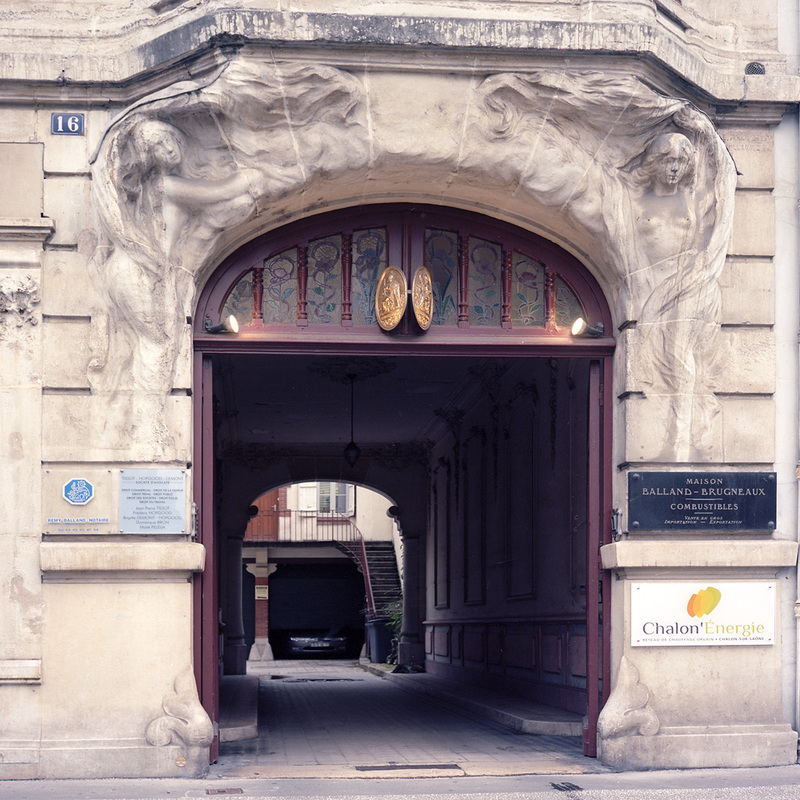 The archway over the building entrance (#18) is obviously stylistically linked to the entrance archway to the courtyard behind the building (#16 Blvd de la Republique), but in no way a mirror. Here is the full facade, so you can appreciate the context of the doorways. I wonder what it housed in the past, and for what purpose it was built. Today there appear to be offices in the building on the lower levels, and possibly apartments on the upper floor. I did not see anything else like it in town, in my admittedly extremely brief survey of Chalon, which makes me wonder all the more about the motivation for building it. How did this come to be? It’s obviously prior to the (now gone) Kodak presence in Chalon. It also doesn’t have the feel of being the residence of a single wealthy family, like the Gaudi commissions in Barcelona.